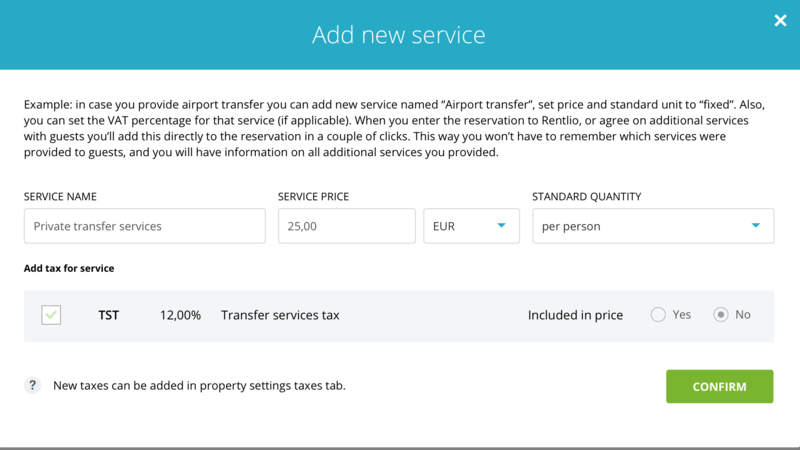 If you are offering additional services or products that require specific taxes, here you can learn how to set them up in Rentlio. In Property settings choose the tab Taxes and at the bottom click on the Add new tax button. When you click on Add new tax, options neccessary to add new tax will appear: label, description and rate. Label is an arbitrary entry which will help you identify the tax while issuing an invoice. For example, if you want to add a tax on transfer services, you can write TST. Description is also an abritrary entry that will serve you internally and help you identify different taxes. Rate is a numeric value corresponding to the rate of the tax you are adding. After you have added a new tax, you can create new additional services under the tab Services and add this tax to the service. 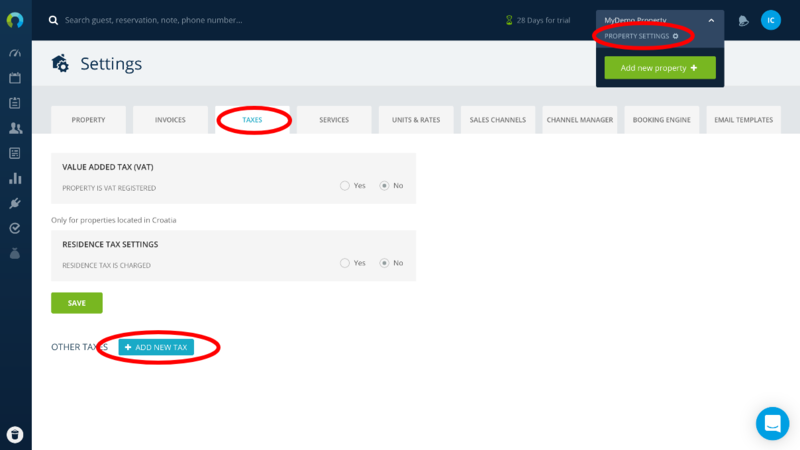 If you add an aditional services when issuing an invoice, the additional tax will be calculated automatically for those services which contain added taxes.